1. I haven’t gone his long without a drink since I was 20. That means I haven’t truly known my body in her natural state my entire adult life. 2. I have fewer decisions to make. I don’t have to think about which of us is going to drive home, etc. Life is a bit more straight forward. 3. My moods are WAY more stable because my blood sugar is more regulated. I don’t get as “hangry” either. 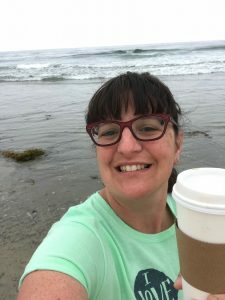 4. a couple months after my last drink, I thought “Gosh, I feel like I don’t even need coffee this morning,” and it hit me –caffeine was the likely cause of the low-grade buzzing of anxiety/agitation I’d felt for the past few weeks. I don’t need as much caffeine now that I’m not coming out of a wine fog most mornings. I’ve gone from drinking 24-36 ounces of regular coffee a day to eight. 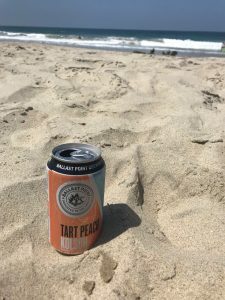 My decision to quit drinking was a gradual one that finalized during my 40th birthday beach vacation this summer. I don’t believe it’s a coincidence that I was reading Kristi Coulter’s newest essay collection at the time. 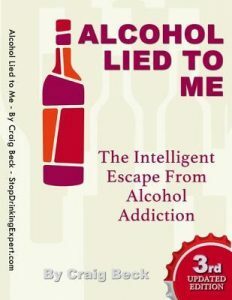 I had an advanced copy on my NetGalley shelf for over three months, avoiding it because I was afraid it would inspire me to quit drinking (something I’ve been considering for approximately a decade) Initially I thought the author was going to come across as self righteous and blindly rail against alcohol. Then I realized the reason I disliked her tone was because it resonated with me so strongly. 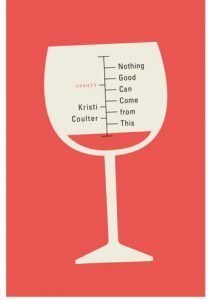 This is a collection of extremely personal, gorgeously written essays about Coulter’s decision to quit drinking in her early forties, why she hadn’t done it sooner, and what her life was like afterward. Her tone is candid and raw, to the point of what might seem like oversharing in a different context. It works here because what she is saying is relevant and will cause readers to do some serious introspection about their relationships with alcohol. Coulter’s observations on society’s acceptance of the role of alcohol as a social lubricant and coping mechanisms in our society, particularly for women, are spot on. What I appreciate most is her courage to point it out and speak her truth, because yes it made me re-evaluate my drinking habits, but most importantly it made me see I am not alone in my struggle to find a healthy relationship with alcohol. I can’t say this book alone “made me” quit drinking. It was in the right place at the right time to show me that I am not alone in my struggles. My decision began with “I’m going to stop drinking for now.” I had no idea if it would be permanent (I still don’t.) 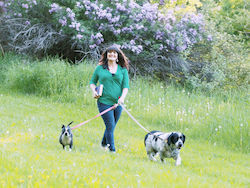 The only thing I knew for sure was that something in my life needed to change, and the list of things I Have control over was very short, pretty much beginning and ending with my body – what I put into it, what I do with it, that’s all I can control. 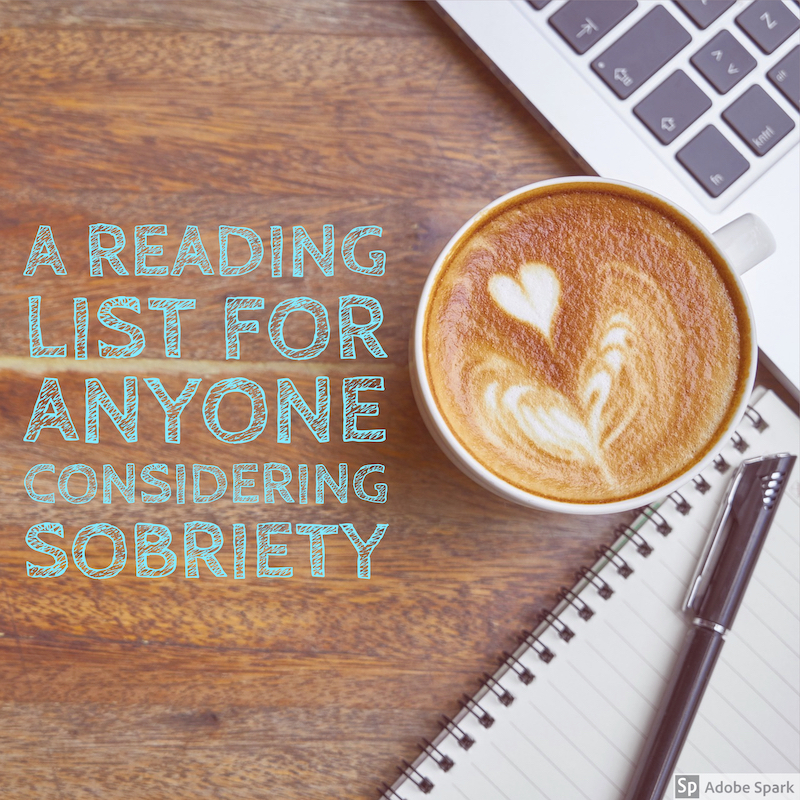 Once I began what a friend referred to as a “sober curious journey,” I began to seek out more reading material, and other content to teach me more about alcohol and sobriety, and to offer that support I felt when reading Coulter’s essays. That was comforting and secure, and I wanted more of it! Here are the books I’ve found it in so far, and a few more I haven’t gotten to yet, that have come up in my reading and researching as helpful. This one comes up over and over again when I read and research sobriety. What I love most about Grace’s approach here is that choosing sobriety doesn’t necessarily mean we’re admitting to addiction or serious drinking problem (but maybe we are…) I don’t like how I feel when I’m drinking regularly, and I have nearly no ability to moderate. So that’s it, I’m choosing not to drink. Grace helps readers navigate situations that we’ll face, particularly as newly sober, and advises on how to handle them. What’s unique to Grace’s approach is her addressing of the subconscious, as that’s where all the messages we’ve received about booze throughout our lives are stored. This one was a coincidence that it tapped into my sober journey, and it resonated with me on so many levels. The main reasons I drank were to numb my emotions, and to fit in with others. Even though I’m confident in my decision, it feels isolating at times. It’s only been 4 months and already there have been several times I’ve been the only person in a room not partaking. 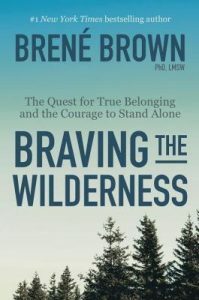 Braving the Wilderness is all about belonging. It explores why we’re wired to want to belong, and what happens when we feel that we don’t. 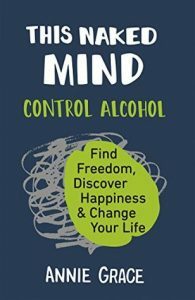 This is another one that pops up again and again on lists of books that others find helpful as they seek sobriety. It’s actually been on my To Read List for years, and I haven’t gotten to it yet, though I plan to soon! 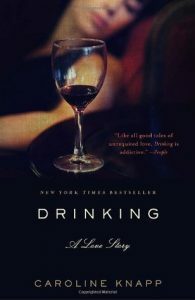 From Goodreads: A journalist describes her twenty years as a functioning alcoholic, explaining how she used alcohol to escape personal relationships and the realities of life until a series of personal crises forced her to confront her problem.Caroline Knapp describes how the distorted world of her well-to-do parents pushed her toward anorexia and alcoholism. Fittingly, it was literature that saved her: she found inspiration in Pete Hamill’s ‘A Drinking Life’ and sobered up. Her tale is spiced up with the characters she has known along the way. While I haven’t read this book, it was mentioned in Annie Grace’s and the message sounds similar to hers. What I appreciate most about this approach is the break down of the myth’s I’ve believed my entire life surrounding alcohol, without shame or blame. From Goodreads: Craig Beck is a well-regarded family man with two children, a nice home and a successful media career. A director of several companies & at one time the trustee of a large children’s charity. Craig was a successful & functioning professional man in spite of a ‘2 bottles of wine a night’ drinking habit. For 20 years he struggled with problem drinking, all the time refusing to label himself an alcoholic because he didn’t believe he met the stereotypical image that the word portrayed. He tried countless ways to cut down; attempting ‘dry months’, banning himself from drinking spirits, only drinking at the weekend & special occasions (and found that it is amazing how even the smallest of event can suddenly become ‘special’). All these ‘will power’ based attempts to stop drinking failed (exactly as they were destined to do). Slowly he discovered the truth about alcohol addiction & one by one all the lies he had previously believed started to fall apart. For the first time he noticed that he genuinely didn’t want to drink anymore. In this book he will lead you though the same amazing process. Tell me how these books may have affected your thinking about alcohol. Are there other books that have resonated with you on this subject? I’d love to hear from you, either publicly in the comments, or privately via email if you prefer (ramona@ramonamead.com). Thank you for this. Anymore like it, please let me know.